My sister Liz asked me to talk to a nice friend of hers named Anita who needed help with creating a new Web site based on her own personal consulting practice (Liz knows I recently created this RobDKelly.com Web site). I decided to share the advice I’m giving Anita with you…in case you or friends need it (and Anita was cool with this — she’s reading it here just like you!). Rob: Do you want a Web site to just work out of the box or do you have some resources for customization? Anita: I’m not very technical but I can get tap into a person who is familiar with Web sites. Anita: I have a few thousand bucks (U.S.) I could put into creating a Web site. 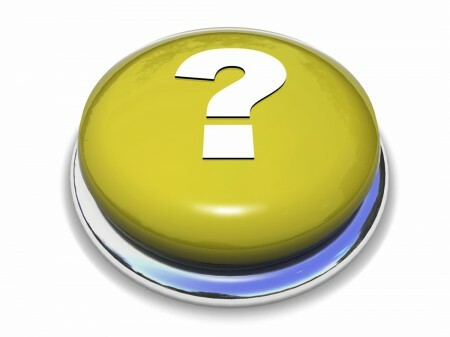 Answer: I’d like to have the site up and running within 3 to 6 months. Anita: Legitimacy. I need a place to send people to that looks professional. How do I set up a website — I don’t have a domain name, but I have several ideas of what I want. (A cheap host would be great.). I only work in the nonprofit sector, so something appropriate for that. I want this web page to be a place where I can describe my services and send prospective clients. She mentioned that she wants to link it with some current clients who have sponsored major projects she’s done. I want to ditch my AOL address… and have an email address that is connected to the new site, and I want to convert my current address book to the new address and inform all my contacts of the change. (I have a feeling that is sort of a basic thing, but it will also be a marketing strategy on my part). I suggest that the first thing you do is pick a domain name. My preferred service for this is GoDaddy because it’s easy, relatively affordable and they have the best customer support of any domain registry/hosting company I know — you can call them on the phone 24/7). Anita has some name recognition in her industry (so potential clients/partners will be searching “Anita Smith” on Google — I suggested she first focus on seeing if her exact name is available as a .com, .net or .org — I did a quick check of this using Go Daddy’s Bulk Name Registration (go to GoDaddy.com and click Domains and then Bulk Name Registration). I suggested she try adding her middle initial and also try adding her full name followed by a keyword associated with her business (I mentioned this approach in 7 Tips To Get Your Site On The Front Page Of Google When People Search Your (Common) Name)). If you want a useful tool to help you brainstorm names, I suggest you read Six Easy Tools To Help You Name Stuff On The Web (it includes domain suggestion tools) and start with the Google Keyword Tool. Google’s Keyword Tool provides an estimate of the number of monthly searches of different names/phrases — basically, Google is telling you what the demand is for the topic you want to supply to – Supply and Demand is a pretty good place to start with any business, ay? So, Google is estimating that 720 people each month search the exact keyword “non profit consulting” and 260 people search “non profit consultants.” The closer your domain name is to those search terms, the more likely it is that Google will send such a searcher to your new Web site. You’ll also need someone to host your Web site somewhere. I told Anita that GoDaddy is a simple solution for someone with a little budget and her other needs (like having her own custom email addresses (which she asks about below) — and since she’s already buying her domain name through GoDaddy, she can just add the hosting to her shopping cart. GoDaddy charges are in the range of as low as $2.99 per month (if you pay for 36 months and don’t need much storage) on up to $14.99 per month if you need more storage and a lot more database stuff and only want to pay a month at a time. 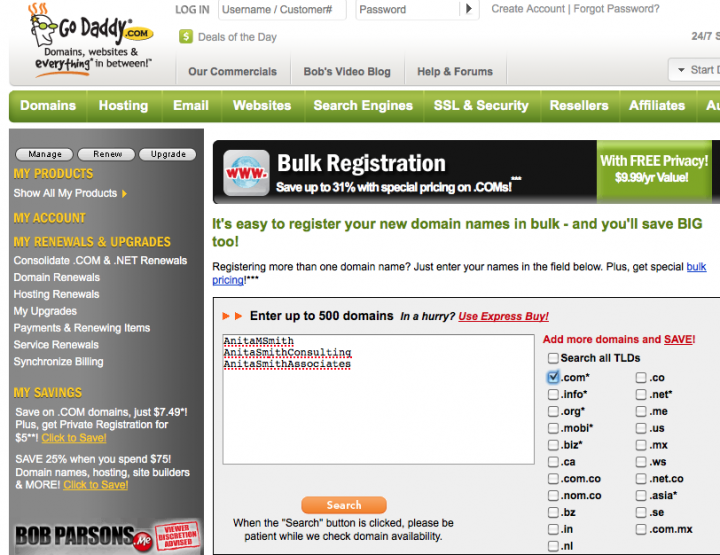 You get free email accounts with any of GoDaddy’s hosting options that I’ve looked at. For ease of use, I suggest one of the following four. All four of them are free, and super-useful, though there may be charges if you use extra storage/features. Based on the fact that Anita is low-tech and has some budget to spend to build a new Web site, I recommended WordPress; that way she can tap into the numerous WordPress designers out there and save herself some time. If Anita had asked me for a free and easy solution to create a new Web site, I would have steered her to the other three. Anita can check out my Check out 7 Easy Steps On How To Set Up A Blog Using WordPress to go through the why’s and what’s of using WordPress. I’m also a big fan of installing Google Analytics on your Web site — it’s free and will tell you a wealth of information about people visiting your site. Check out 3 Easy Steps To Using Google Analytics. If Anita picks GoDaddy and WordPress she can also benefit from accessing WordPress through GoDaddy’s interface (as opposed to having a separate log-in for GoDaddy and WordPress). Regarding Anita’s question about discarding her rather ancient AOL email address, I told her that she will get some free email addresses (e.g. 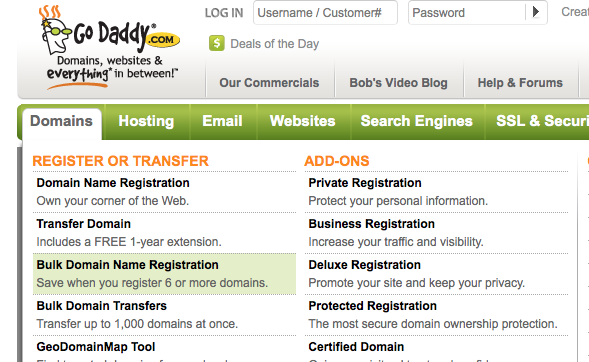 Anita@AnitaMSmith.com or info@AnitaMSmith.com) to use through your new hosting account with GoDaddy. Additionally, she can forward the email she receives at your old AOL email to your new AnitaMSmith email through options on AOL’s email (I don’t use AOL but it should be called something like “Pop/Forwarding” or just “Forward Your Mail.”). A good place to see the basics on that would be the GoogleJuice Tips section of 9 Simple Tips For Showing Up In Search Results. A few months ago I was launching my own personal Web site and I had the simple goal of getting it on Google’s front page when people searched my fairly common name: Rob Kelly. 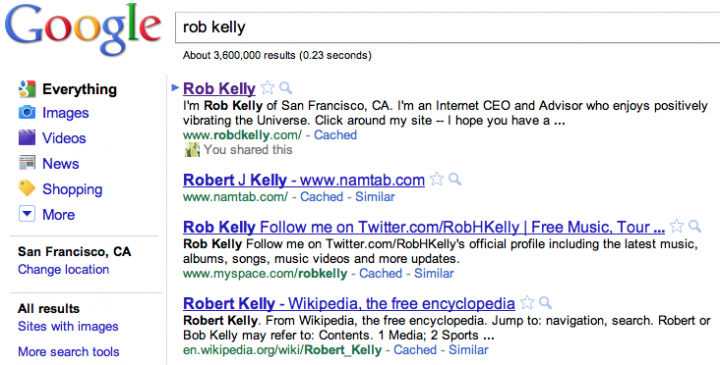 Well, a search of “Rob Kelly” now places me first on Google’s front page. I enjoy sharing learnings from such projects so I decided to deposit some of the knowls that helped get my personal website on Google’s front page right here in this article. Warning/Alert: If you’re looking for SEO trickery to figure out how to game Google’s search engine, you’ve come to the wrong place! In fact, if that’s you, please leave right now…I don’t want your kind here! The tips I’m sharing are logical/legitimate approaches to improving your Google website ranking in hopes of getting on the front page of Google in an honest fashion. I’ve been playing around with the new Blekko search engine. They seem to do a reasonable job with speedy and comprehensive search results. But what’s really cool is their SEO (Search Engine Optimization) tools. …or you can just click the image below and then play around from there. Thanks to Chris Tew for pointing this out to me! I sat in on a talk that eBay’s SEO (Search Engine Optimization) Manager Dennis Goedegebuure gave at eBay’s headquarters in San Jose earlier this month. I got to chat with Dennis and he’s both smart and interesting — away from eBay he blogs about poetry, tips on San Francisco (in Dutch) and a favorite topic of mine: Black Coffee. eBay's Dennis Goedegebuure likes WordPress and so do I! Note: Just to be clear, even though this was an eBay SEO specialist presenting his tips are not focused on eBay Store SEO or any other SEO for eBay Web pages. While Dennis was through most of his presentation, I realized that he was going to make the slides available online — They are located here: Dennis Goedegebuure on SEO at eBay DecCon09. I decided to go ahead and include my notes (below) as there were some comments Dennis and attendees made that are not in the slides — I encourage you to look at both! Those sound like things you want? First and foremost, Dennis recommends that you make sure that your product is worth talking about; if you don’t, no person will link to you or visit your site or install your application. Dennis adds that you can learn a lot from what the search engines give you…the top search engines have documentation so you should read it… such as Google’s Webmaster Guidelines. Google Universal Search: Threat or Opportunity? Google and other search engines have moved more towards images, video and news — what we call Universal Search. This is a threat — if you are just text-based…yet this is also a great opportunity to rank higher since there are fewer businesses that have images right now. Through structured meta data the presentation of your site can be enhanced. Two tools on this are Yahoo Search Monkey or Google Rich Snippets. Microformats.org is a great resource for how to code, present, etc. better for search engines to have better display — you won’t rank better but your appearance will be better. Search engines have crawlers crawling links to discover your content. If your content is not linked to (hidden in java script or flash) it can not be easily discovered. 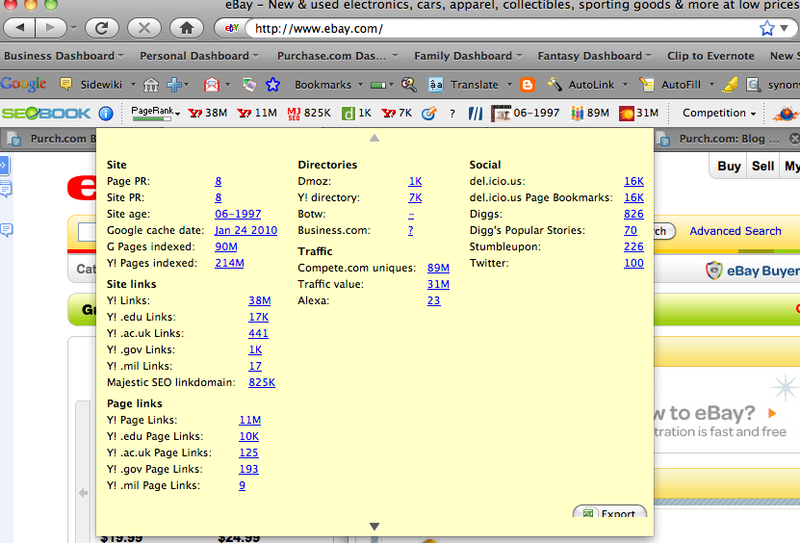 Crawlers will look at your Link Structure. Search engines download html content of the page and store it in their database. As they perform this Site Index, only extractable content is stored. How Do I Get Google To Index My Site? To get into the Google Site Index, or other website indexing, you simply have to publish your content onto Web pages and then link to it from somewhere. Google site indexing can be done as fast as just couple of minutes or many weeks depending on the type of Web site you have (note: Google indexes blogs more frequently than other Web sites). Search engines discover you through links. It also helps with relevancy. 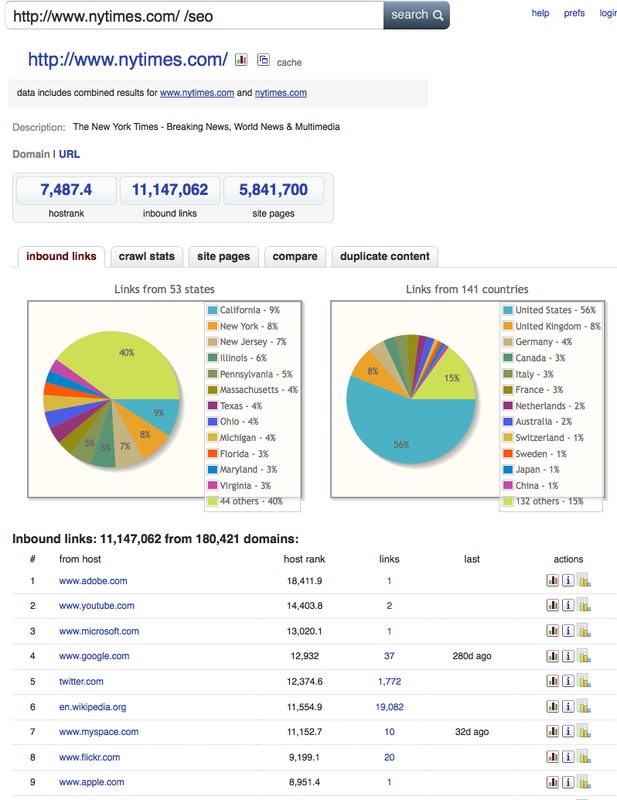 Internal Links — You need a good site structure to leverage your link juice. If you don’t have a good domain name, you want to include keywords in the URL — you’ll notice that the URL for this page is robdkelly.com/blog/increasing-web-traffic/seo-tips-from-ebay. Avoid a lot of “parameters” in your domain (like symbols and numbers) as that confuses the crawler. You should also avoid canonical URL problems such as using multiple URLs for the same page (e.g. Purchase.com/index and Purchase.com/main). Canonical tag is a band aid to solve this problem. A general rule of thumb is that you should use dashes between words in your URLs so that the search engines look at them all as individual words. Dashes are always preferred over underscores. Meta tags are HTML elements used to provide structured metadata about a web page. Make sure all of your pages have a unique page title with the keywords you want to focus on. Build pags for two user agents: Users and Crawlers — You should focus on serving Users first and then Crawlers next. Build your Web site in plain HTML — Because text is extractable by crawlers. Prevent usage of flash or other rich media — It’s harder for crawlers to extract this. MicroSite — A business called BlendTech built WillItBlend.com in pure HTML with embedded videos and every video has its own URL. They now dominate the first page on “Will it Blend.” Sales went sky-high for BlendTech. Avoid Cloaking, etc.– This is an approach that looks at crawlers and treats them differently — don’t do this! You will be violating most search engine’s guidelines. “Don’t try to fool a search engine as they are smarter than you!” Also don’t buy links or put white text in the meta tags. Don’t put text on a minus 99 location so it’s all the way to the left of the screen. These are all flags to the crawlers. What are sitemaps? — An XML file that Webmasters provide search engines about your URLs with metadata about each URL such as how often it changes, how important it is, etc. Sitemaps can help crawlers discover pages such as XML sitemap and HTML sitemap. Add sitemap location to robots.txt file. For one of MR. Goedegebuure’s sites, 50% of his traffic is coming from image search. If you would like to have one thing emphasized, use an h1 and only one h1 per page. 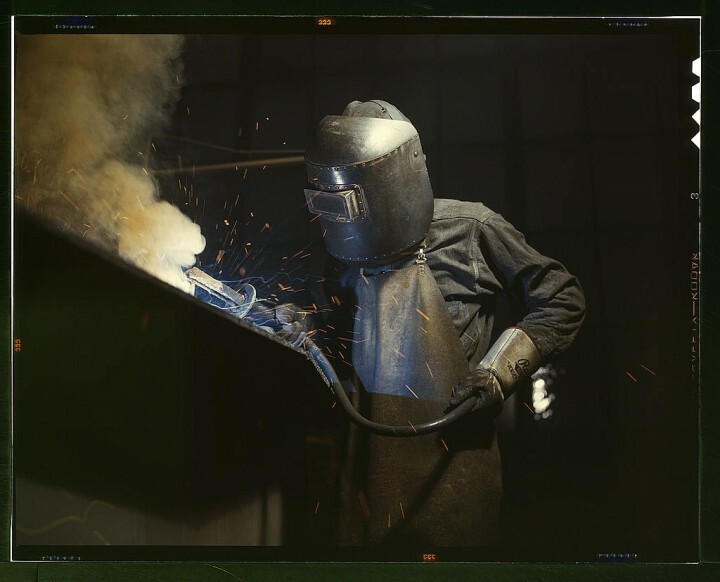 If you do those three best practices, you will rank pretty well. Build an HTML sitemap with all links on your site for users and for search engines. Keep your number of links to 50 or fewer because Google Sitemaps frowns upon anything more than that. 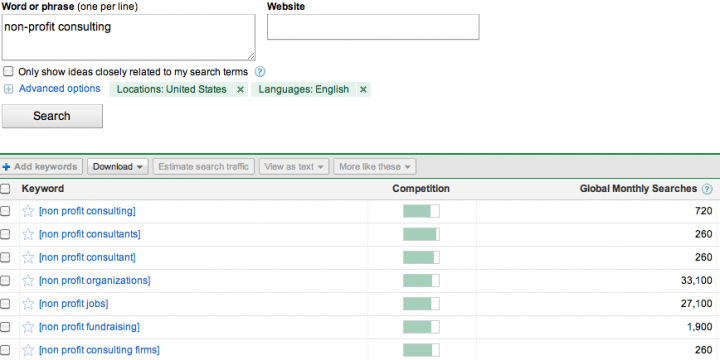 You can use this to see what’s searched more: singular or plural keywords. It provides trending data for keywords, Cost Per Clicks, demographic data and real data from bing.com. Thanks for sharing your knowledge, Dennis! 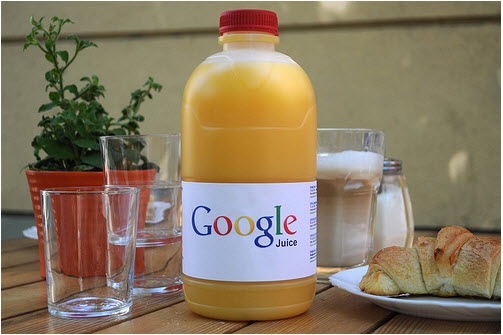 If you found this posting valuable, you may want to check out my Got Google Juice? item.